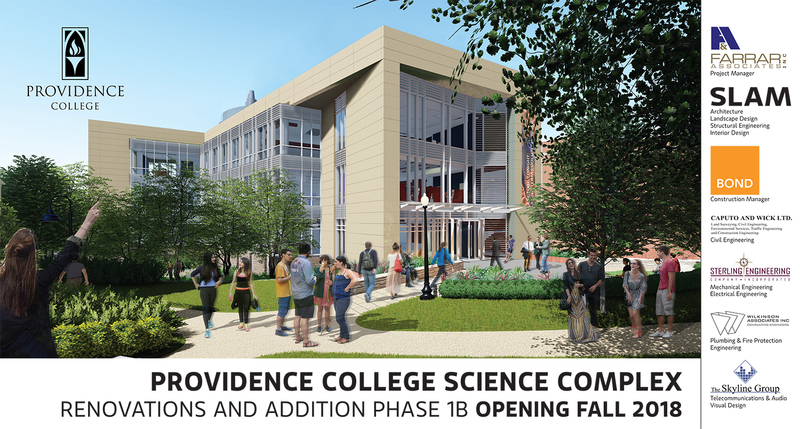 Farrar Associates selected as the Owners Representative for Providence College Science Complex. Renovations and addition phase 1B opening fall 2018. In collaboration with SLAM (Architecture, Landscape Design, Structural Engineering, Interior Design) Bond (Construction Manager), Caputo and Wick Ltd (Civil Engineering), Sterling Engineering Co Inc (Mechanical Engineering, Electrical Engineering), Wilkson Associates Inc (Plumbing & Fire Protection, Engineering), The Skyline Group (Telecommunications & Audio, Visual Design).